LosAngeles/CreativeMornings – Sharon Ann Lee from CreativeMornings/LosAngeles on Vimeo. In that video, talking about how to redefine success, Sharon Ann advised that we “add a game layer” to our work and recommended Reality is Broken as inspiration for that. From that, I kind of expected Reality is Broken to be a bit more “how-to.” But, this book is a manifesto, not a manual. I hope someone makes a mash-up of Reality is Broken and Your Playlist Can Change Your Life. Games are the perfect topic for a book for teens that sneaks in a little science along the way, plus some advice about how teens (and the rest of us) can get real work done by adding some game play to the plan. When I started reading this book, I was dealing with allergy-induced blahs. When I finished, I still had my allergy symptoms, but I was feeling better — and I just completed Level 130 of IndyCat! 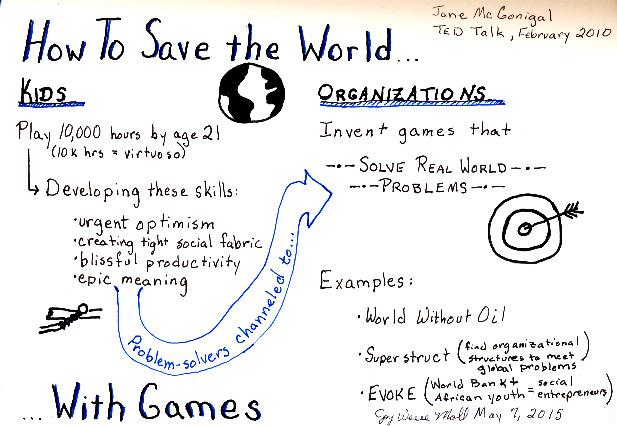 One of the most successful games designed by Jane McGonigal is SuperBetter, a game she used to help herself recover from a concussion. The game can be used for any sort of life improvement, especially related to health and well-being. I threw my weight loss project into it last night. I’m looking for allies, so let me know if you want to play, too! Appeal: I’ve been telling everyone about this book! Reality is Broken will appeal to anyone interested in positive psychology, the future of kids these days, or (of course) gaming. Challenges: I’m counting this as book 3 for my Healthy Lifestyle Books Challenge, even though health improvement is not what I expected of the book when I started — it’s really made a difference! 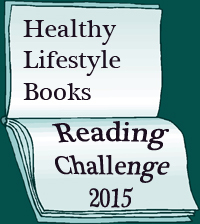 Reality is Broken is my 7th book for the Nonfiction Reading Challenge. I just picked up this book from the library yesterday, Joy! It was pure synchronicity to read your review today. I need to listen to that TED talk. And check out SuperBetter. Adding this book as well as the one on Playlists to my library queue right now! I own this book and haven’t read it! Well, I haven’t finished it. I started reading it and had to put it down. Now, you make me want to pick it up and give it another try. I’m going to check out SuperBetter. Love the Sketch Note. I love, love, love this book. I got it back in 2011, she was keynoting a convention I was going too and I wanted to read and then get it signed. My copy has post it notes sticking out all over with all the interesting things I found between the covers. I need to get to the kind of convention that has Jane McGonigal as the keynote!